There are many ways in which learning disabilities can manifest themselves, and perhaps one of the most familiar and widely known of these are writing disabilities. There are several different variations of writing disability, and these tend to fall under the umbrella term of ‘Dysgraphia’. The term Dysgraphia stem from the greek ‘dys’ (difficulty, ill) and ‘graphien’ (to write). The International Dyslexia Association differs from many organisations in that they specifically refer to Dysgraphia as a neurological disorder that affects handwriting. However, for the most part the definition of dysgraphia is generally referred to as a neurological disorder that affects fine motor skills. It affects the ability to recognise and ‘decipher’ written words, letterforms, spoken words and the relationship between letterforms and sounds. As a consequence, spelling and the ability to construct words will prove extremely challenging. Of course this writing disability can have a detrimental affect on a person’s ability to write neatly, orderly and in sequence. Handwriting may be distorted and letters, number and symbols may be incorrect or jumbled. Quite often, a person with Dysgraphia may struggle with correctly utilising punctuation, which in turn can lead to problems with written expression and grasping appropriate written language skills. Someone with Dysgraphia may experience difficulties expressing and translating thoughts into writing. Likewise, because this disorder involves the processing of information, a person that has Dysgraphia may also experience difficulties in processing any visual information, including graphs and symbols and ordering hierarchies of visual information. People with Dysgraphia can have average or above average intelligence, and so the disabilities associated with the disorder are not necessarily an indication of overall aptitude. However, it is quite common for this writing disability to exist with other learning disabilities that overlap with written language difficulties. Because Dysgraphia is a neurological condition, it can manifest itself as a mild to moderate learning disability. This processing disorder does not necessarily stay at the same level of difficulty throughout a person’s lifetime. As a person with Dysgraphia develops, the level of disability may fluctuate and change throughout different developmental stages. For a child, a Dysgraphia most commonly becomes apparent when they begin to learn to write and can continue through primary and secondary education. They may experience difficulty with consistently producing same-sized letters and spacing, even when receiving one-on-one tutoring and instruction. 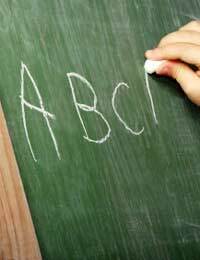 Handwriting may be messy and unordered and spelling or simply putting in the wrong word. However, as this disorder is a learning disability, there are ways and means of offering alternative programmes of teaching that present corrective strategies, enabling a student to overcome their difficulties. The type of approach will need to be tailored for each individual pupil, as the impact and degree of the disorder varies; for instance, for one person the main issue may be fine motor skills and handwriting whereas another child may have difficulties with memorising letterforms and sequences. However, in both cases this method of special needs support will need to be implemented on a daily basis in order to prove effective. In some cases, additional specialised classroom support can be provided to aid learning. This can include the use of computers for the occasional replacement of handwriting, Dictaphones and the use of multi-sensory techniques such as coloured or raised text.